L'héritage de Triumph est unique. Une longue histoire de réussite destinée à inspirer la nouvelle génération. The first Triumph, subsequently known as No. 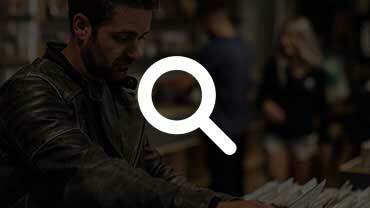 1, is produced. Designed by engineer Mauritz Schulte, it is fitted with a Belgian-made 2.2hp Minerva engine. 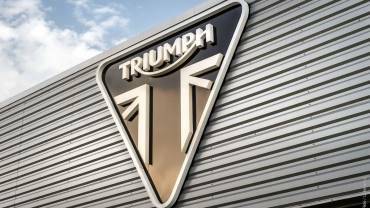 As annual bike production reaches 1,000 units, and Triumph launches a new 450cc motor producing 3.5hp, the factory moves to a larger site on Priory Street in Coventry. Having come second in the first ever Isle of Man TT in 1907 Jack Marshall wins the single cylinder race on a Triumph running an average speed of 40mph. Triumph begins supplying its 499cc type H ‘Trusty’ motorcycles to Allied Forces in the Great War. By 1918, 30,000 of the air-cooled single-cylinder bikes were in military service. 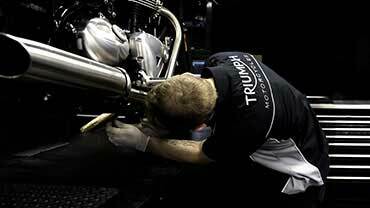 Triumph’s Coventry factory - by now standing at 500,000 sq ft and employing more than 3,000 people - reaches annual production numbers of 30,000 units. 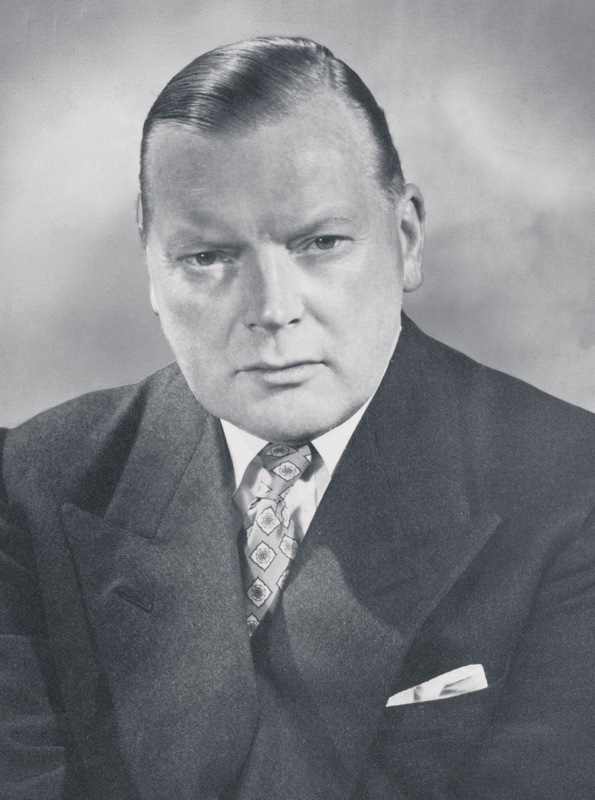 Triumph’s car and motorcycle businesses are split, with the latter bought by Jack Sangster. 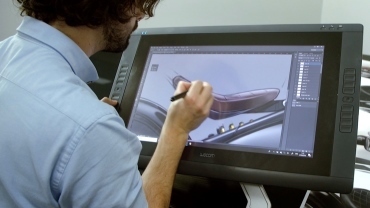 He immediately recruits Edward Turner as the company’s chief designer. 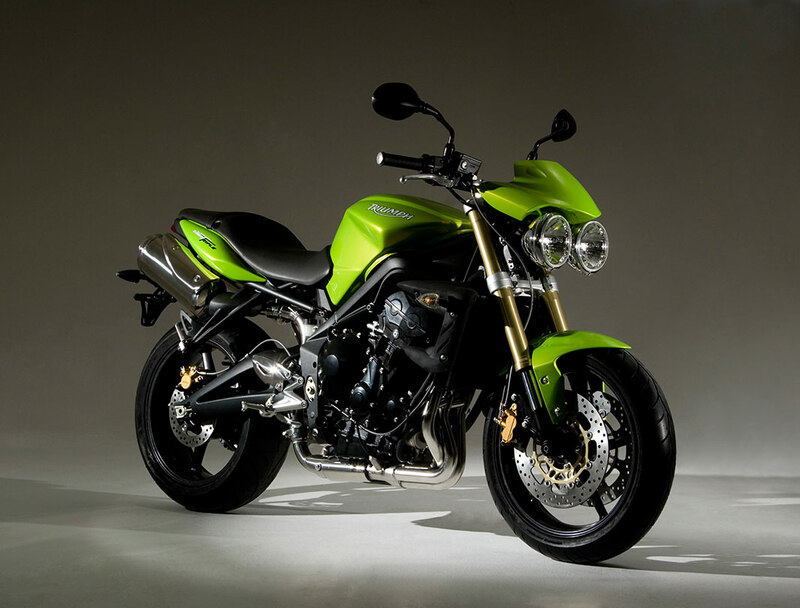 Turner unveils the 498cc Speed Twin capable of more than 90mph. 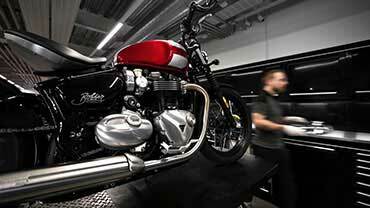 Considered by many to be the definitive British motorcycle, it’s the engine that will define Triumph for more than 40 years. Production starts at the new Meriden factory. 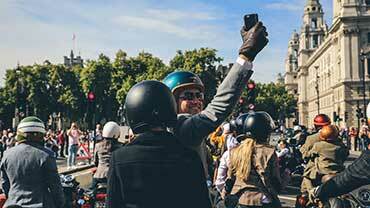 More than 50,000 Motorcycles are sold to the military during this period. The company focuses on three models: the Tiger 100 (ridden to a maiden win at the 1946 Manx Grand Prix by Ernie Lyons); the iconic Speed Twin and the smaller touring 349cc 3T. Marlon Brando rides a 650cc 1950 Thunderbird 6T in the outlaw biker film, The Wild One. 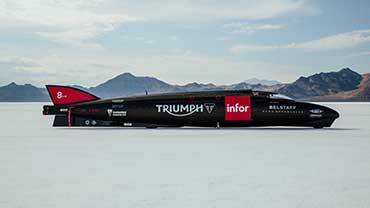 Johnny Allen begins the start of an incredible 15 year performance era for Triumph, recording 193mph on the Bonneville Salt Flats, piloting ‘The Devil’s Arrow’ a streamliner built by a trio of Texan enthusiasts and powered by a tuned 650cc Thunderbird motor. 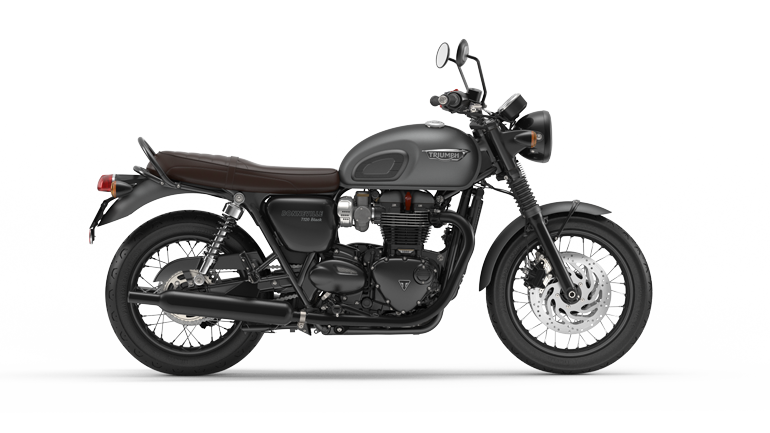 The T120 Bonneville 650 is introduced. 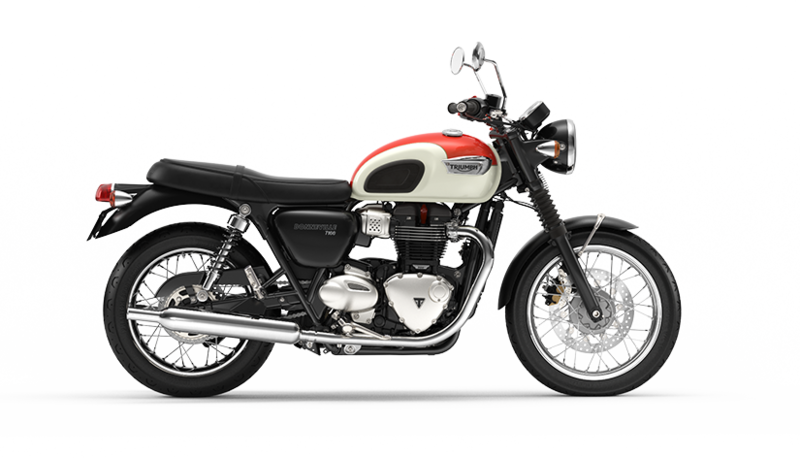 Named in honour of the famous salt flats, the Bonneville is destined to become the highest-selling British twin of all time. A 1962 TR6 650 Trophy is ridden, jumped and crashed by Bud Ekins and Steve McQueen in the classic 1963 WW2 film, The Great Escape. 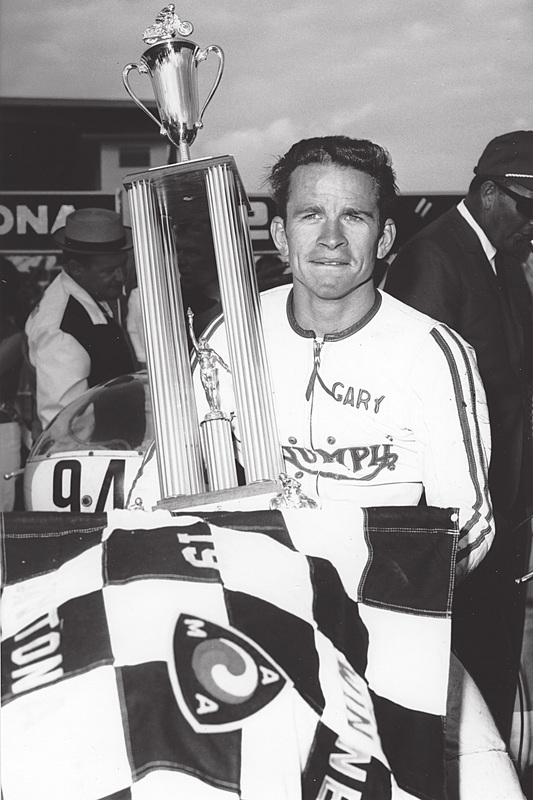 Buddy Elmore wins arguably the most famous Daytona 200 race of all time on a 500cc Tiger - starting from the back of the grid. The Gyronaut X-1 streamliner sets a world-record speed of 245mph during Bonneville Speed Week, powered by two Triumph 650cc engines. 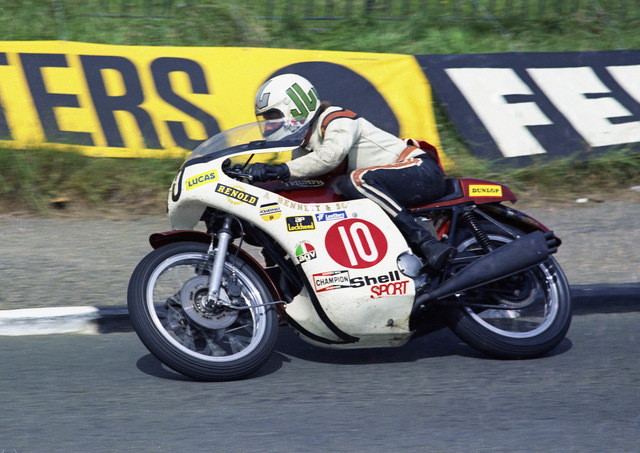 Gary Nixon repeats Elmore's 1966 feat with victory in the Daytona 200 on a Tiger 100, and John Hartle helps bring Triumph more racing success in the Isle of Man Production TT. Evel Knievel famously jumps the fountains at Caesar's Palace in Las Vegas on his Bonneville T120 TT Special. 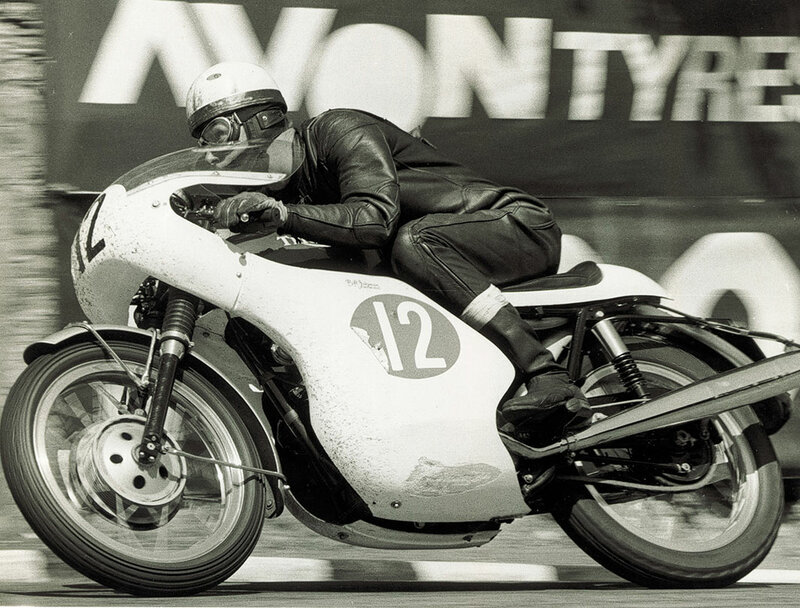 Malcolm Uphill wins the Production TT on a Bonneville, recording the first-ever lap on a production motorcycle faster than 100mph. 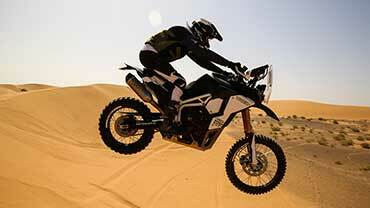 Uphill wins the Production TT again, this time riding a tuned three-cylinder 750cc Trident. Back at the factory, the T120 ‘oil in frame’ range is launched. Despite a fifth consecutive victory in the production TT from the 750cc Trident famously known as Slippery Sam, and the formation of the Meriden Workers’ Co-operative, production of the Triumph Trident comes to an end. 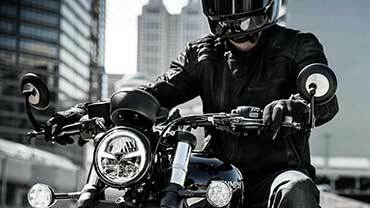 Triumph makes a high-profile return at the Cologne Show, unveiling the unfaired Trident 750cc and 900cc Triples, the touring Trophy 900cc Triple and 1200cc Four, and the sporty Daytona 750cc Triple and 1000cc Four. 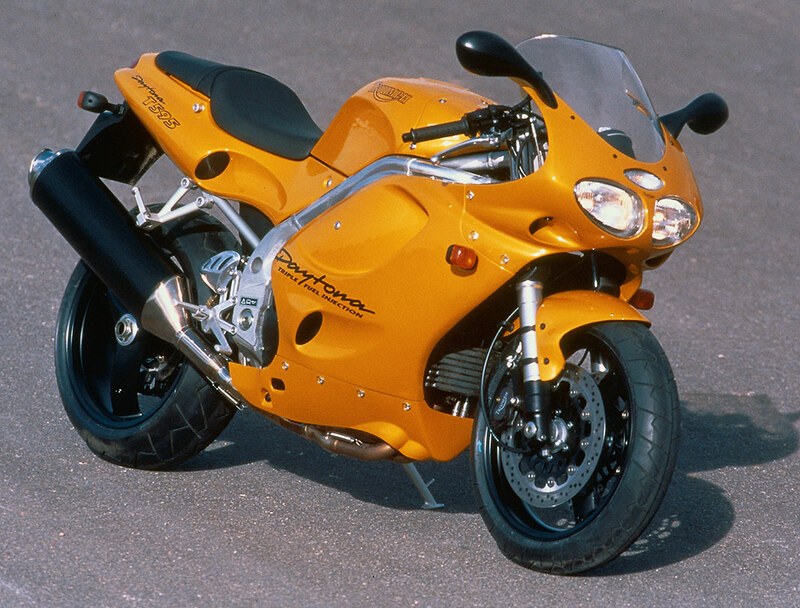 The Daytona T595 bursts onto the scene, attracting lengthy deposit lists thanks to its striking styling. 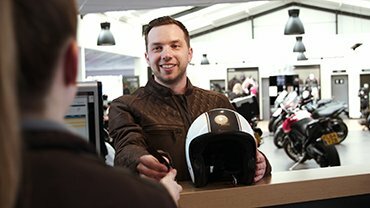 One order becomes the 50,000th motorcycle to be manufactured at Hinckley. 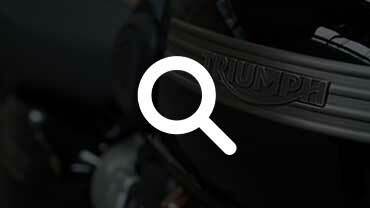 Triumph joins the adventure sector with the Tiger 900, and revives its racing heritage with the game-changing 885cc Speed Triple, which competes in the Speed Triple Challenge race series at Donington Park. 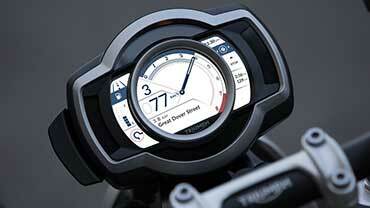 Over the Atlantic, Triumph Motorcycles America is formed. 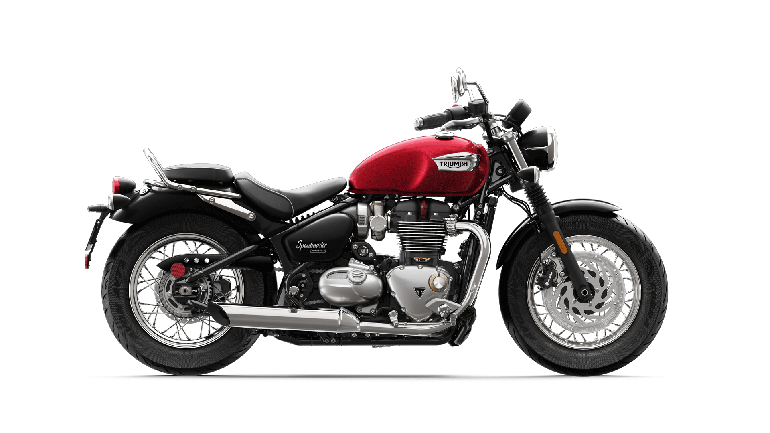 A decade after Triumph's rebirth, the iconic Bonneville returns to the Triumph line-up, alluring traditionalists and younger riders alike with its classic styling, superb handling and functionality. A massive fire guts the main Factory 1 assembly plant. 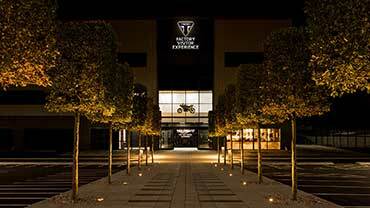 Factory 3, Triumph's first facility in Thailand, opens and begins manufacturing parts. The four-cylinder Daytona 600 supersports bike is released. Bruce Anstey wins the Junior 600 on the Valmoto Daytona 600, giving Triumph its first TT win in 27 years. Production begins on an all-new 675cc Daytona with a Triple engine that is set to win multiple supersports awards. 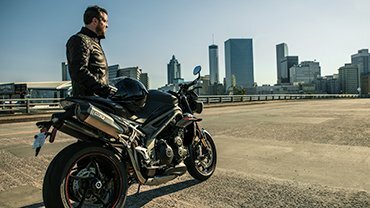 The Street Triple bursts onto the scene, providing a heady mix of the Speed Triple’s styling and entertainment with the performance and handling of the Daytona 675. Factory 5 opens in Thailand. Glen Richards wraps up the British Supersport Championship on his MAP Embassy Triumph Daytona 675 - giving Triumph its first British Championship of the Hinckley era. 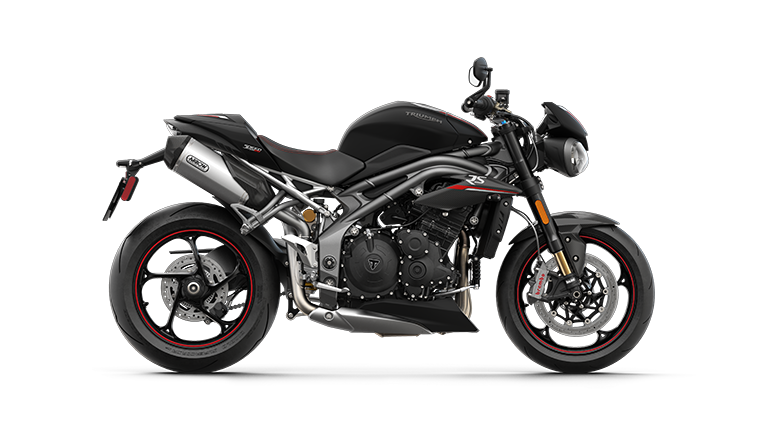 Triumph makes its first move into the 'R' sector with the launch of the Street Triple R. Higher specification braking and suspension elevate the class-leading package to new heights. 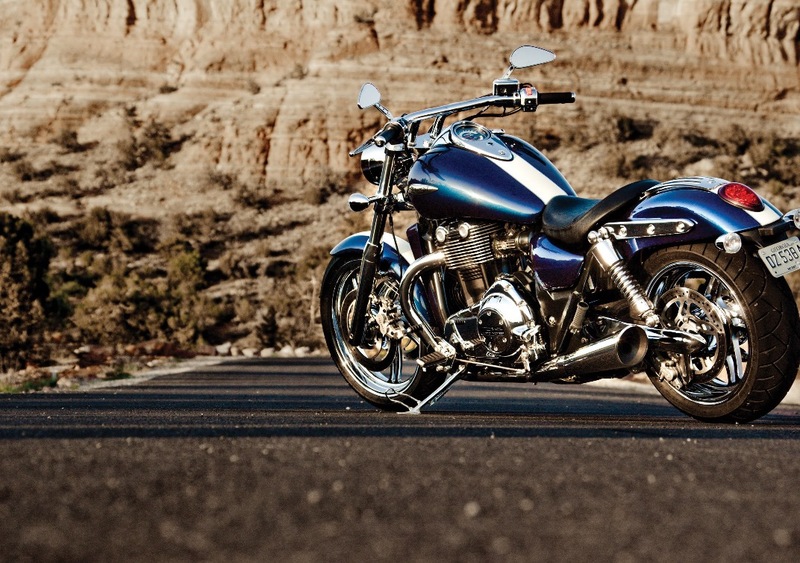 Triumph Hinckley's first belt-driven motorcycle, the Thunderbird 1600cc parallel twin is launched. The bike impresses US magazine Cycle World enough to vote it ‘Cruiser of the Year’. 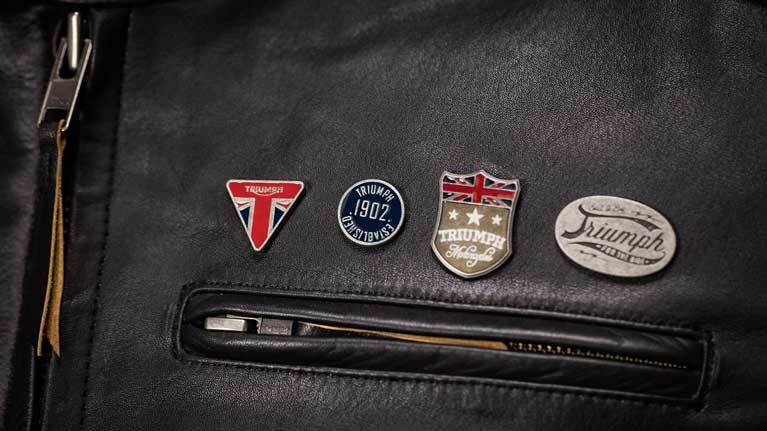 Triumph celebrates 110 years in style, opening in Brazil as annual sales reach 50,000 motorcycles worldwide for the first time. 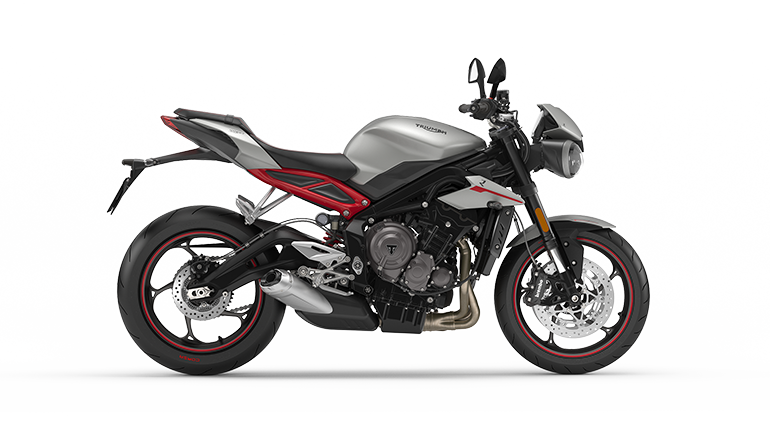 The all-new 1215cc Tiger Explorer and Trophy models are unleashed, as are major updates to the Street Triple and Daytona. 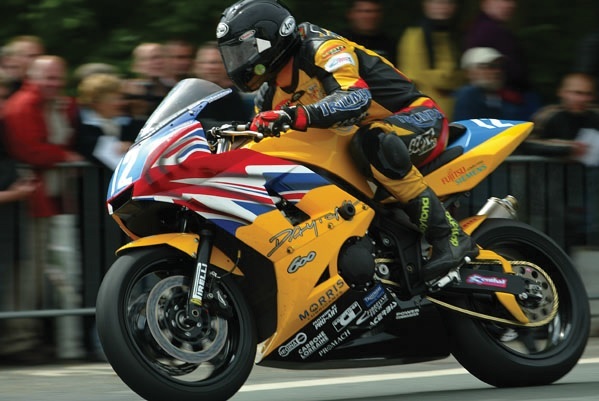 Gary Johnson takes a thrilling victory on the Isle of Man winning the Supersport TT, and Billy McConnell takes the British Supersport Championship – both riding a Smiths Triumph Daytona 675R. In the USA, Danny Eslick wins the prestigious Daytona 200 on the Daytona 675R – giving Triumph its first win there in 47 years. 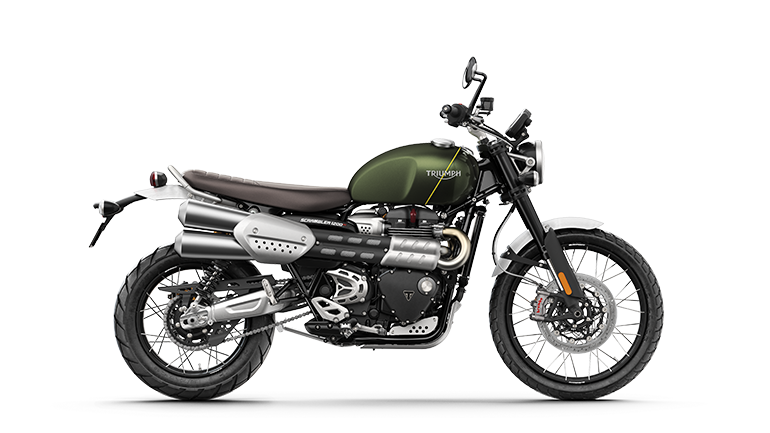 Along with the launch of an all new Speed Triple and the ultimate transcontinental adventure bike, the Tiger Explorer, Triumph unveiled an all new Bonneville family for the 21st Century, with the 900cc Street Twin, 1200cc Bonneville T120 and T120 Black and the all new 1200cc Thruxton and Thruxton R.
Launched with an exciting evening of drag racing and live music, the new Bonneville Bobber delivered peerless authenticity, hand crafted custom style, engineering innovation, and hot rod ride and sound. 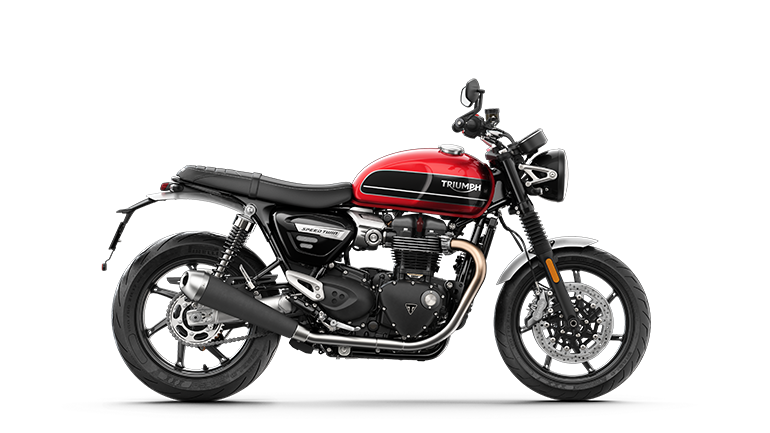 This, along with the new Street Cup, Street Scrambler, Bonneville T100 and T100 Black, takes our iconic Modern Classics range to a whole new level.